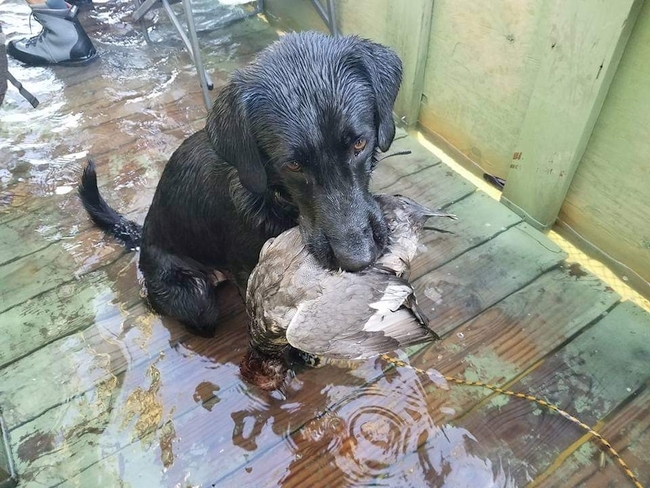 Texas South Zone Duck season begins in November and runs through January (State & Federal agencies have the authority to change official season dates annually). We are blessed with a great variety of birds hunting in the Rockport, Port Aransas, Corpus Christi Area being at the southern area of the Central Fly Zone, which provides us with a vast variety of birds here are a few Pintail, Gadwall, Wigeon, Redhead, Scaup, Blue & Green-wing Teal, bufflehead. 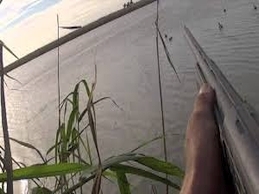 Some of the bays we hunt are Corpus Christi Bay, Redfish Bay, Aransas Bay, and Copano Bay. Capt. 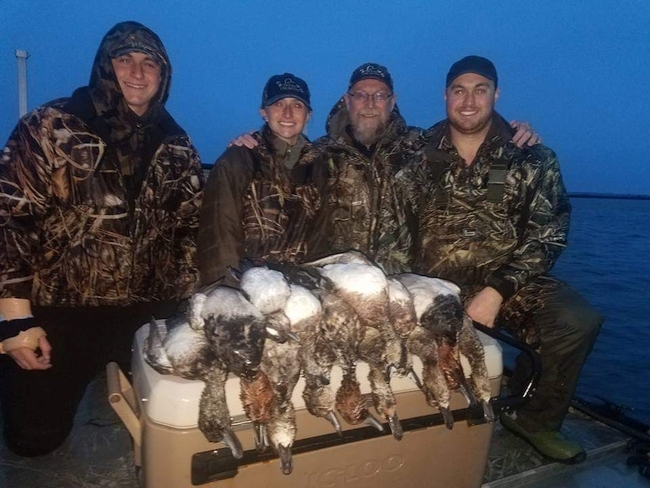 Chad loves having family trips so ask about special child rates or non-hunting rates for those just wanting to observe the gorgeous landscape sunrise or sunset while you hunt. Capt. 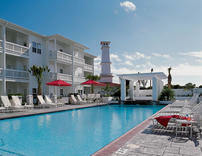 Chad can set up additional boats to accommodate your company or large group. Duck Hunting should be awesome 2018-2019 Duck Season - lots of Ducks showing up! Capt. Chad offers two types of hunts guided and Non Guided drop offs. Our Dog Retrieving is Runner, a Black lab. Non-Guided drop off's for the experienced hunters includes a blind with decoys set up. 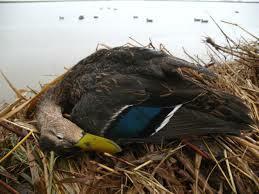 We use ground blinds and Wood duck blinds for these hunts with wooden benches. Rates for Non guided- $125. Per-hunter minimum of 2 hunters. Full guided hunts we will leave dock generally 30 minutes before hunting time and hunt until around 10am. 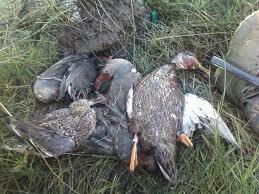 All of your catch and hunt will be cleaned then bagged. - Warm waterproof camouflage outer layer including hunting gloves. - Waders recommended for warmth but not mandatory just let Captain Chad know if you are hunting without them in advance. 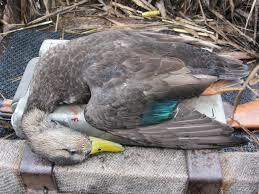 - 1 box shells Per Hunter- #2 or #4 steel shot Guns do not get loaded until hunting time givin by the guide. mailed, so he'll know your date is reserved. The Captain reserves the right to cancel any trip due to inclement weather or circumstances beyond his control. Your trip will be rescheduled for a future date. Any trips cancelled by customer (10 days prior to the trip date) may also be rescheduled. Water is Always Appreciated! Thank you!